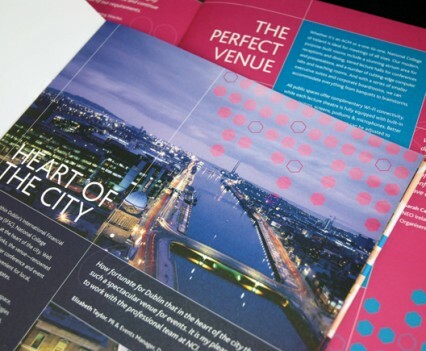 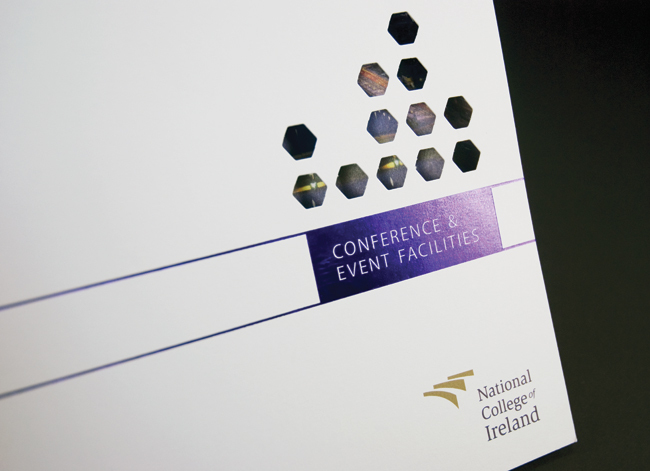 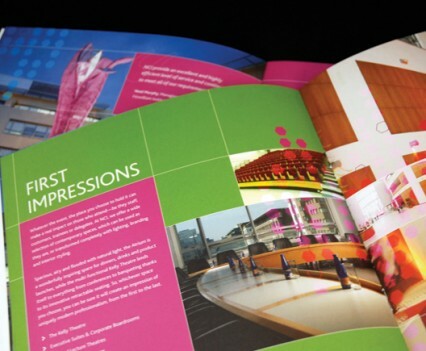 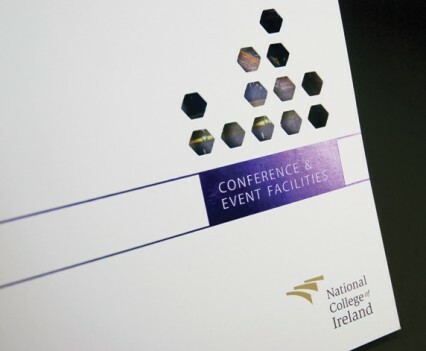 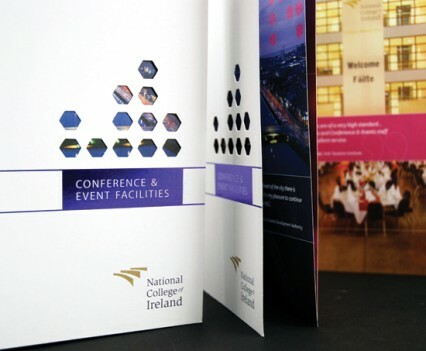 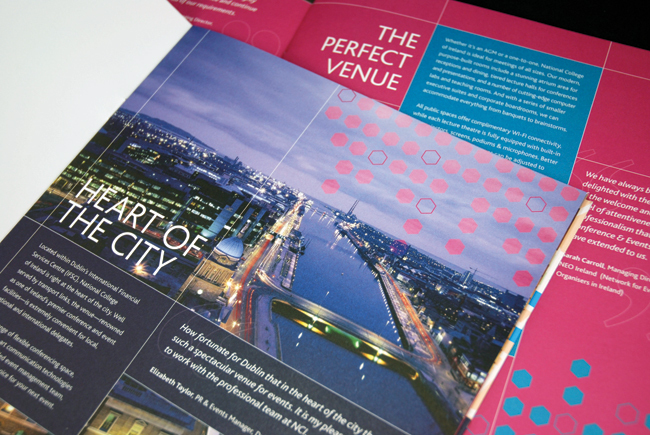 The College needed a new brochure to showcase they're conference and event facilities to local, national and international delegates. 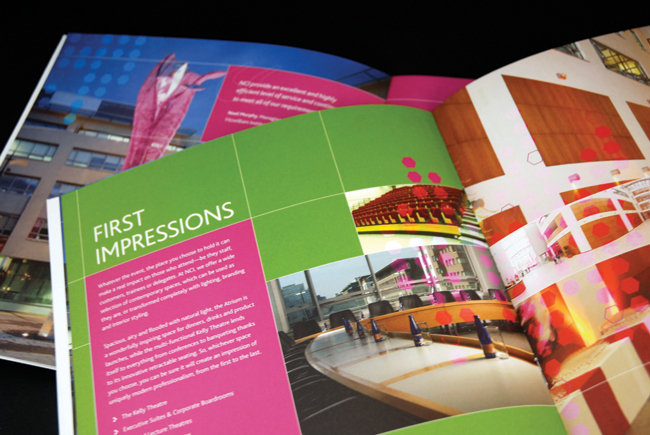 The design was based on the colourful Iris sculpture that resides in their entrance courtyard. 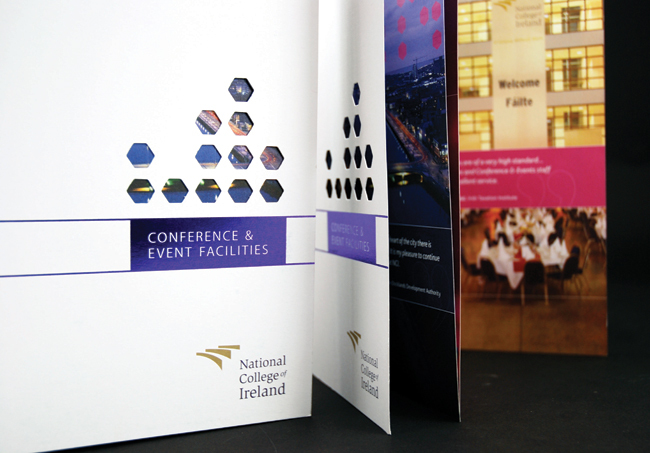 The cover has a brilliant purple foil and uses a unique die cut on the front to reveal the bright colours inside.